Are you sure you’re ready to talk about mental health? Mental illness isn’t primarily a middle-class issue. Everyone’s mental well-being is important, and every person matters. However, stories told of mental illness and recovery are often as much reflective of personal privilege and opportunity as they are of personal strength. In fact, my own story of recovery from depression depends on access to resources, supports, employment benefits, and opportunity that are far from available to all. The hard truth is that people experiencing poverty are nearly twice as likely to have a mental health challenge than those who are middle-class, and over 7 times as likely as those who are wealthy. Comments like “mental illness affects us all” serve to effectively de-stigmatize mental health, while simultaneously masking the significant variances in who is impacted most by mental illness. So if we truly want to talk about mental health, we need to talk about why it’s much more of an issue for those experiencing poverty than an issue of the middle-class. Meeting the basic needs of people experiencing mental health challenges means bigger government. As demonstrated by the thorough and powerful reporting by Jennifer O’Brien into the substandard housing conditions faced by many with mental health challenges in London, basic needs of food and housing prove out of reach to many. With many individuals who are in the midst of a mental illness living on Ontario Works at $676/month and inadequately supported in the community, affordable housing wait lists of years, and food prices rising, mental illness is equating to hunger and homelessness. Altering this reality means a significant raise to two tax-supported government systems: affordable housing and social assistance. If we are willing to talk about mental health, then we need to also talk about an expanded social safety net and what it will cost. The first step is to stop causing mental illness. The root causes of mental illness are complex, interactive, and quite individual. The role of genetics is often highlighted as the idea that “mental illness is an illness like any other” is effectively de-stigmatizing. However, the role of genetics is often over-stated, with Dr. Gabor Mate teaching us that environmental factors and determinants of health play a much greater role, and even genetic predisposition is itself effected by the environment. A greater explanatory factor than genetic predisposition is the experience of trauma. Physical abuse, sexual abuse, cultural abuse, emotional abuse are primary root causes of mental illness and are perpetuated by us. In fact, half of the women reading this post will have experienced physical or sexual violence, the majority perpetuated by a male intimate partner. Therefore, if we are willing to talk about mental health, we should also be willing to stop our own acts of violence and stop perpetuating trauma. Are we ready to talk about mental health but avoiding talking about our violence against women? Some people who commit crimes have mental health challenges. Compassion is easy when we are not personally effected, can we maintain it when we are? It’s possible that you have or will be victim of a crime, whether it’s something minor like having change taken from your car, or major like being assaulted. It’s possible that the person who commits this crime has a mental health challenge. If this occurs, will your response to this be tempered by your compassion around mental illness, or will it be driven by the evolutionary desire for vengeance? With those facing mental health challenges incarcerated en masse, I would suggest that neither individuals nor the justice system are particularly good at considering the impact of illness on behaviours, and how we might better assist people to be well. The out-cry surrounding Vince Li getting day passes, even though not criminally responsible, shows that vengeance reigns over compassion. We avoid talking about mental illness and crime because thinking of those with mental health challenges as criminals has been a horrendous part of the stigmatization process. However, if we are willing to talk about mental health, we need to be willing to talk about how we can reform our justice system to stop having jail serve as the new asylum. Many of us discard our own mentally ill children. I left this one to last as it is the most personal and most painful for many, including myself (my brother’s experience of homelessness started when he was kicked out of our family home). 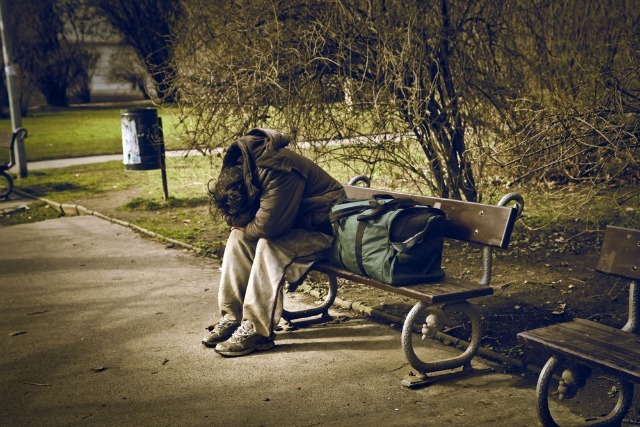 Visiting any youth shelter, you will find a group of youth who have been driven out, kicked out, and frequently simply discarded by families. Where many have the misconception of homeless youth as “bad kids who run away”, I highlight that the lead cause of youth homelessness is the experience of violence in the home. And, the overwhelming majority of youth experiencing homelessness face a mental health challenge. Therefore, when confronted most closely with mental health challenges within our family, many of us respond poorly and reject rather than support them. If we are going to talk about mental health, then we need to talk about how we respond to those in our own family who struggle. So yes, let’s talk about mental health. For sure, we need to. Mental health is a catastrophe and a crisis. However, if the primary narrative is the cost of mental illness on our economy, and the solution is driven by workplace wellness, then I think we are missing a lot of the conversation. The issues go beyond middle-class concerns, and get to fundamental questions of how we structure our society, how we share our resources, and how we live together. Let’s have those conversations too. Why help refugees when Canadians are homeless? Although this seems like a straight-forward either/or question, there are several factors to consider. Firstly, should Canada even take refugees? In my mind, there are two key reasons why we should. 1) Canada’s position of respect in the world is largely based on our stance as being a multi-cultural nation with borders open to all peoples of the world. Both my father, and my grandfather on my mother’s side, are immigrants to Canada, just two of the people who bring mix to our diverse society, so I’m particularly thankful for their journey to this country. As Canadians, we have a long history of accepting refugees from conflict situations, and I have had the privilege of serving as a nurse with some of these families. 2) From a pragmatic position, Canada depends on immigration to maintain an economically important level of population growth. Closed borders would equate to stagnant or declining populations, which are catastrophic for GDP-increasing economic activity (take a look at Detroit on Google Maps satellite view to see impact of population decline). We need to keep the borders open to grow our communities especially as our population ages. Secondly, in my mind the various activities government take part in, such as public safety, infrastructure, health, education, immigration, and homelessness, are not mutually exclusive. That is, accepting refugees does not mean we can’t continue to do better on homelessness. And we are doing better. In particular, we are getting better at helping people move from homeless to housed. This is crucial to me, as when I worked as a nurse with people experiencing homelessness I was eternally frustrated that I could assist people with their health needs yet they remained homeless. With new models of Housing First we are doing better at the back end of the system, helping people exit homelessness, though I do wonder about the front end (ie. 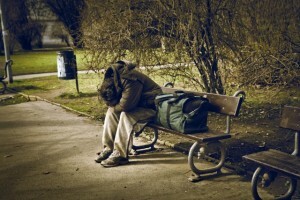 the number of new people becoming homeless). We can end homelessness and help integrate new Canadians from Syria at the same time. Which brings me to my third point, these are new Canadians. The very question of ‘why help Syrian refugees when Canadians are homeless’ ignores the fact that these are individuals becoming Canadian. So it’s like asking, ‘why help new Canadians when Canadians who have been here longer are homeless’, which certainly seems tinged in xenophobia to me rather than sincere concern. Which leads to my next point: a general skepticism that those making these remarks are truly invested in assisting people who are experiencing homelessness. Are individuals expressing this concern subsequently lobbying the government to invest more in homeless services? Are they volunteering time with or donating to homeless-serving agencies? Are they voting for governments that will expand the social safety net to prevent and reduce homelessness? Or are they tapping into a nationalism that actually ends at the tip of their own nose? I ask, because it seems that some of the same individuals complaining about Syrian refugees and suddenly seemingly being concerned about the homeless, have in the past complained about homeless services as being a waste of money. My final thought on the issue is that it is truly up to us as a community to determine how much of a benefit this migration is to our city. If we accept people, if we welcome them, if we grant them opportunities, and if we extend the same neighbourly support that we, or our parents, or grandparents, or great-grandparents received on coming to Canada, then we will gain exponentially back as Londoners. If you want to be a part of this welcome, please consider being 1 of 50 people donating $50 to support settlement of Syrian refugees in London.